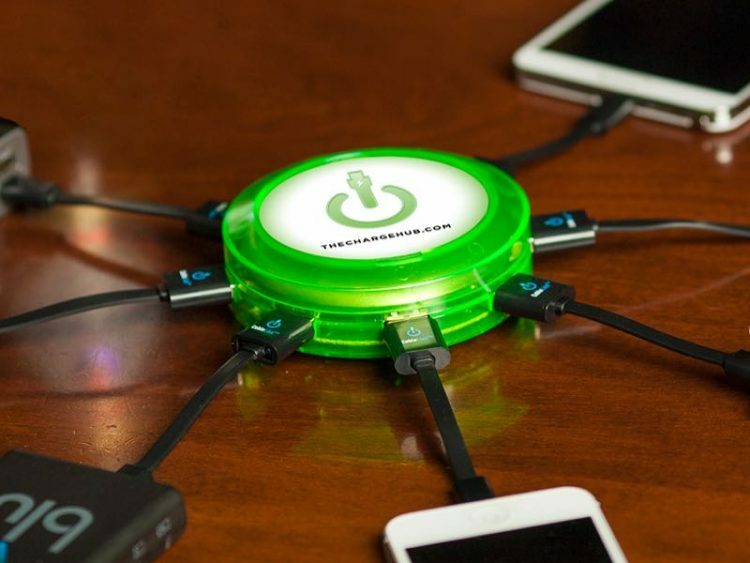 The ChargeHub is offered by Limitless Innovations as a way to help device users organize recharging needs by providing a central hub capable of simultaneously charging multiple devices. The X7 is the first model to be offered and features seven USB charging ports. The company will soon release X3 and X5 models as well. We received the X7 for review and quickly put it through the paces. The ChargeHub X7 is offered in round or square (hexed) design and available in your choice of eight colors. The review sample we received was round in shape and black in color. The hub can be modified to feature a custom image on top to replace the company logo if you prefer. Our X7 arrived in the Super Value Pack form to include a 12V adaptor as well as seven various device USB adaptors. I can now charge my older 30-pin Apple products at the same time as new Lighting equipped phones and tablets. And if the wife wants to plug in her Android devices, so be it. At the heart of the ChargeHub X7 is a 48-watt power supply. 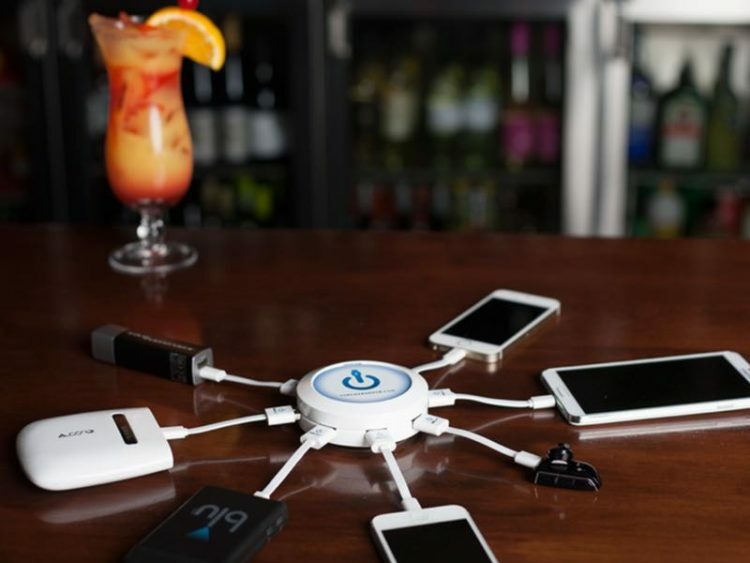 This can charge a host of today’s higher-powered devices with no problem. We recently spent a long weekend in an old cabin with limited AC outlets so the ChargeHub X7 was the perfect accessory to bring along. We found a centralized location and could charge all our devices at once without having to unplug lamps or fans or the TV when the football game came on Sunday afternoon. The unit itself is solidly built and features blue LED lights around the bottom that doubled as a nightlight during our trip. The provided USB adaptors have short cords but they can be unplugged and you can simply use your own USB cable if you need to use the device while it charges. 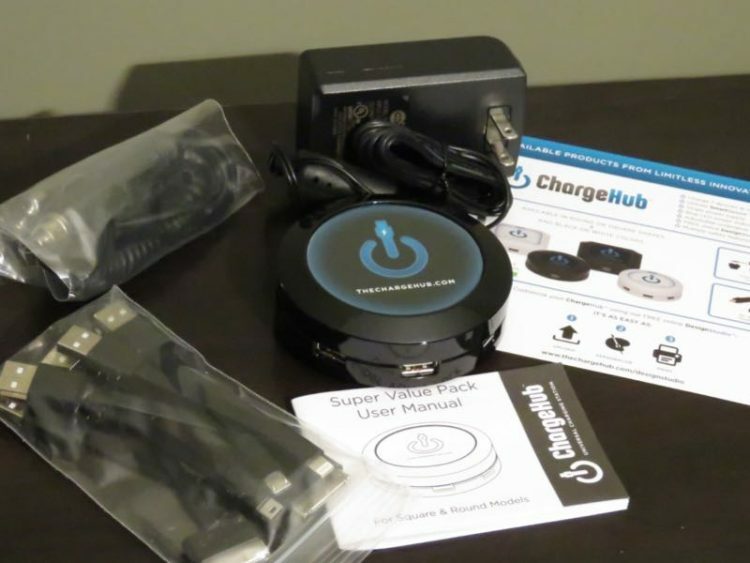 The ChargeHub is easy to use and simple to set up. If needed, it arrives with a user manual but I found it to be intuitive to operate. It weighs about one pound and has a maximum output voltage of 5 VDC with max. current in each port at 2.4 amps. It features a 1-year limited warranty and is available online on the company website at www.TheChargeHub.com with a base MSRP of $59.95. 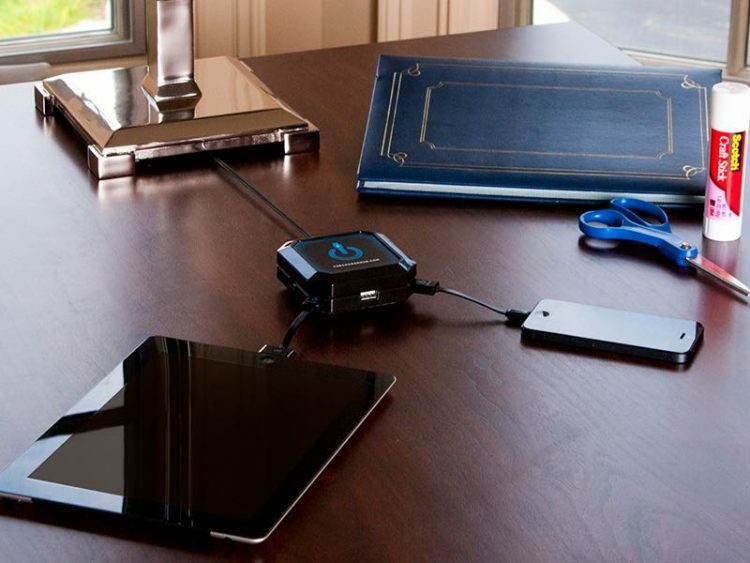 The ChargeHub X7 works great and is the perfect travel accessory for any techie family or group and it wouldn’t surprise me if we did not see these units showing up already in travel locations or vacation destinations. They call this “the power strip of the 21st century” and I totally agree with that. 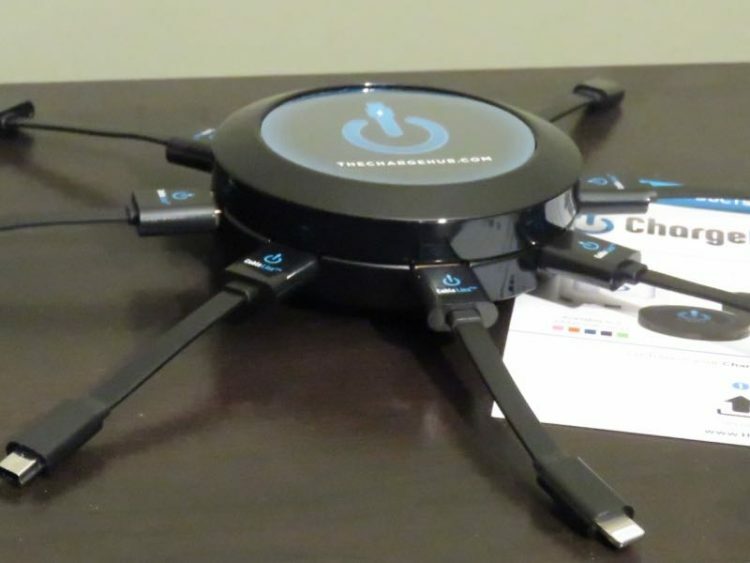 The ChargeHub X7 by Limitless Innovations review sample provided by the manufacturer.